Where do you find the best employees for your small business? The ones who do their work perfectly? The ones who bring results––every time? I asked a successful Houston small business owner. He told me he never spent a single $ on mishires. And he told me any small business owner could use his method. He didn’t know why so many of them didn’t do it already. “Once you know a “perfect” employee doesn’t exist, your life becomes much easier.” he told me. Make each employee write the tasks he or she does each day––step-by-step. Create a manual. Let’s call it the “Education Manual”. In it, describe the work. Add videos or pictures. It will increase accuracy of work each employee does. We’ve tested this method. It works. It does increase accuracy. Understand Why To Use An Education Manual. Having an Education Manual is like using “Google Maps” to drive somewhere. It can change every day. But you go to it so you find the fastest way to get there. Now, Google maps update based on traffic. Similarly, each employee has to update the manual. Without the update, it’ll take you where you don’t plan to go. It’s important to keep it online. Then each employee could update it regularly. And many could do it simultaneously. Many tasks small business owners do become unique. 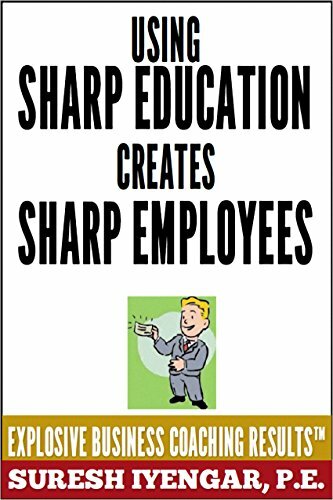 Having an education manual gives people the chance to take over when the business owner isn’t there. And when the business still needs to finish work for its clients. Organize The Guide That Works. Organizing every step allows the small business owner to delegate work. An Operations and Training Manual will make this possible. For consistent and efficient work, organizing will remove the need for more people. And still let the business owner finish work on time. Such an education manual saves time, energy and money. Use a task list, which has all work a small business does––management, research, sales, marketing, accounting, finance, legal, manufacturing, purchasing, shipping, accounts receivable and accounts payable. Once the team writes the tasks, they rank them. Next, they enter them in the manual. For the business owner to delegate low ranking tasks, they must be in the manual. It helps team members if they write down tasks. Creating a full manual could take weeks or months. Once the small business has one, it becomes easy to detach the business owner from daily tasks people do. Do these 3 steps. And you’ll be creating employees who produce results instantly––every time!